ASI digital solutions are designed to meet the unique needs of each client. Our knowledgeable sales consultants meet with clients and listen to their needs, examine the client’s facility to identify opportunities or challenges to a digital installation, and then propose a custom tailored digital solution. ASI’s interface allows searches for building management contact information and leasing opportunities. Real-time information such as date, time and weather are always displayed. 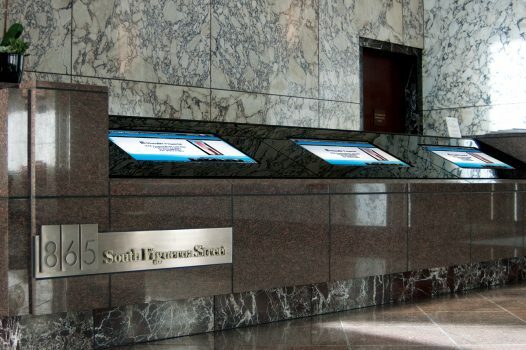 ASI installed more than 100 screens featuring both passive as well as interactive, touch-screen displays. Custom enclosures deliver aesthetic consistency and appeal in this one-of-a-kind interior digital solution. ASI provided a networked system of dynamic digital signage for the convention center. 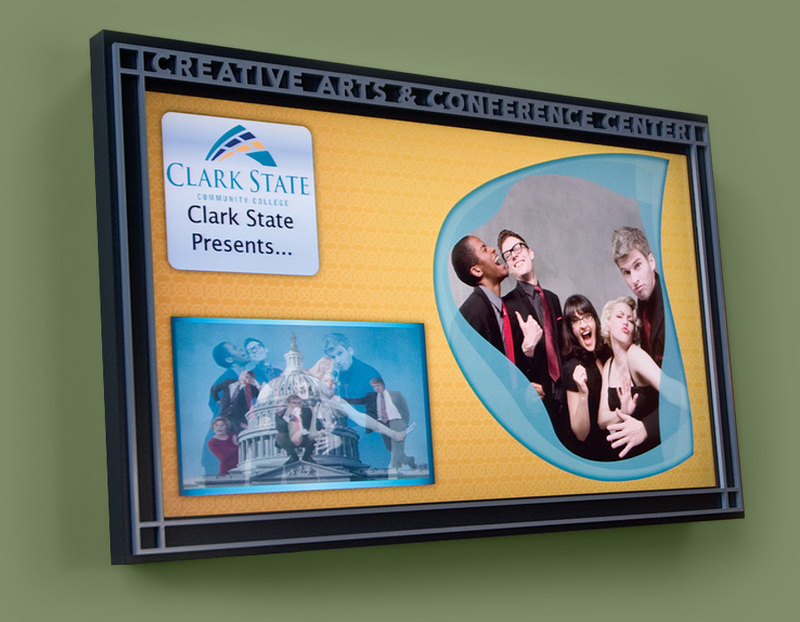 The digital signage solution is comprised of a five-panel main entry kiosk, wayfinding displays, and room ID displays. 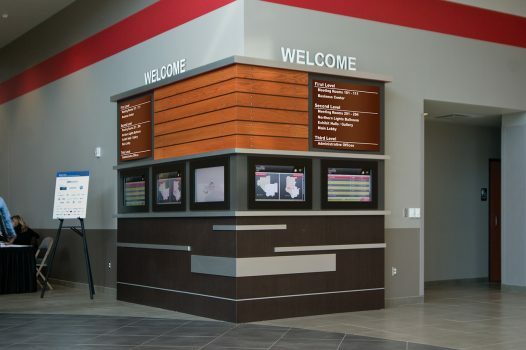 Our team of experts can assist you in the entire interior digital signage process from initial concept through manufacturing, installation, and maintenance. We have the proficiency and experience to deliver superior results, every time, on time and within your budget. Allow us to share our decades of experience and bring quality and innovation to your signage project. 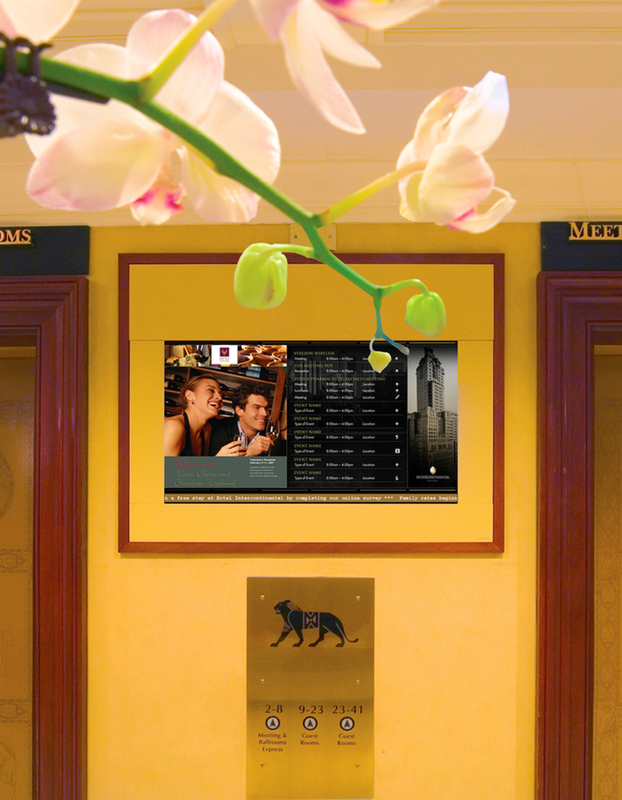 ASI’s SlimLine Standardized Digital Signage Solution is an evolutionary step in the intersection of people, architecture and information. Slimline’s intelligent and intuitive content management, distribution and display system easily manages information, effectively guides visitors and enhances the experience of interacting in today’s dynamic business environments. 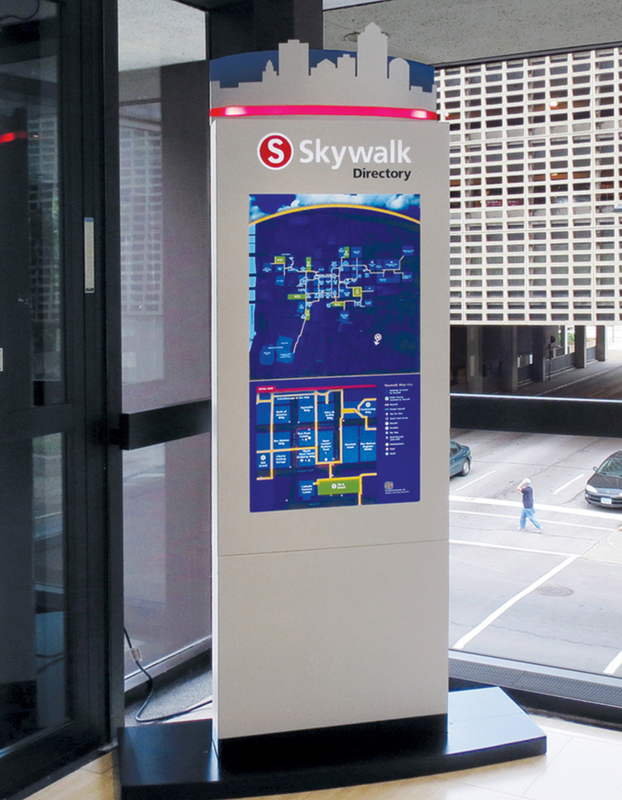 Freestanding digital installations are a versatile and effective way to welcome visitors and facilitate wayfinding all while promoting your brand. 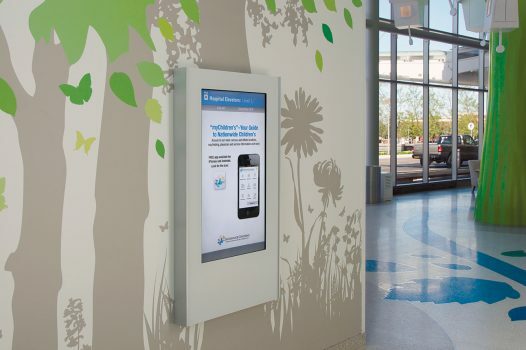 Wall mounted displays seamlessly integrate into your facilities environment while providing up-to-date information to clients and visitors. 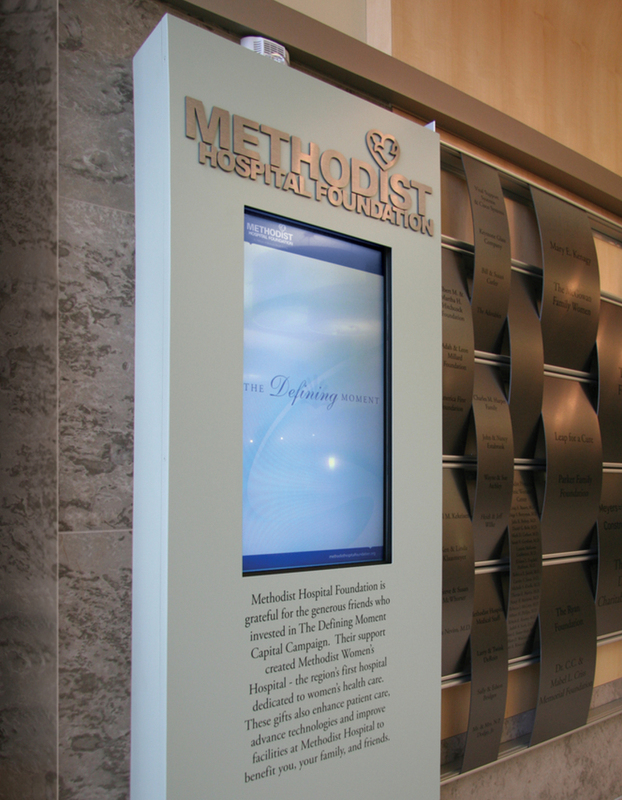 Digital signage offers a cutting edge way to elegantly honor your organization’s benefactors while ensuring flexibility over time. 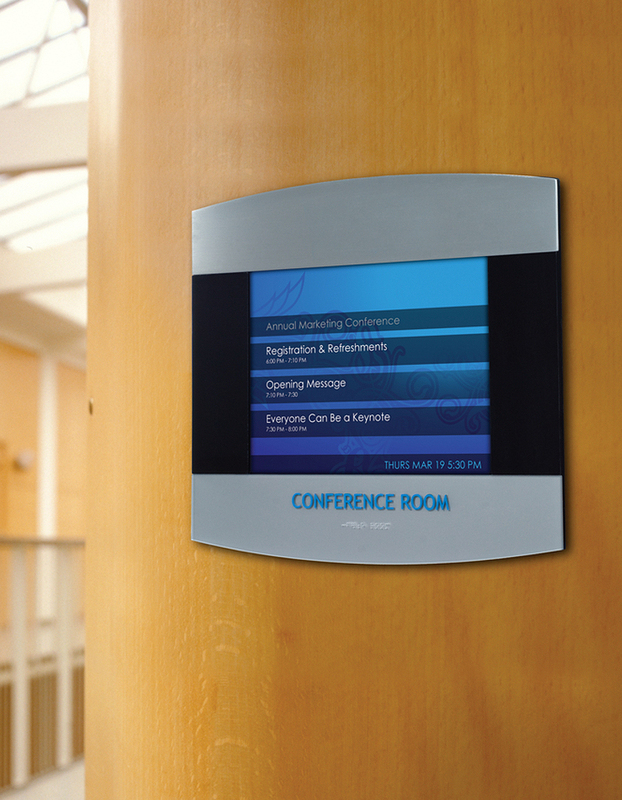 Digital room displays allow staff members to update meeting room reservations and event schedules from a single content management system. flexible space more effectively while enhancing wayfinding.